Anyone needing to arrange removals to Bedfordshire will be looking for a moving company with a good knowledge of the area. 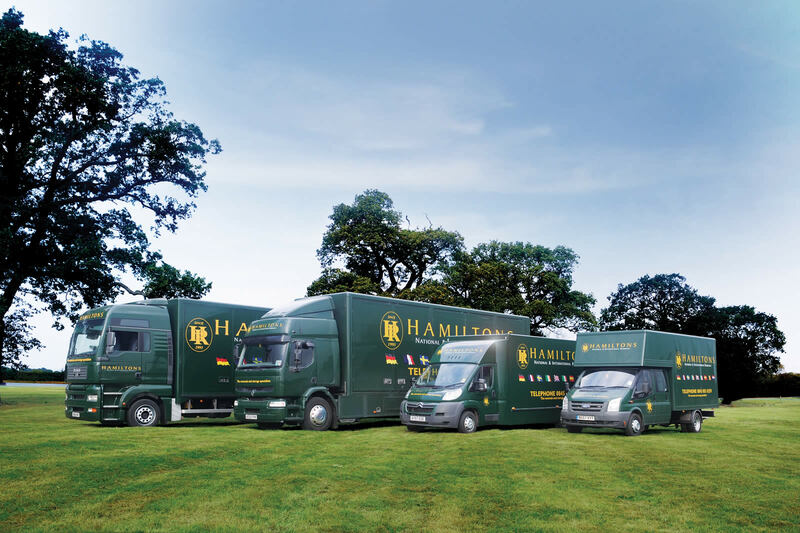 Hamiltons are an ideal choice, since we are based nearby in East Anglia and have arranged many moves to the county over the years. Whether you want to move to Bedford, Luton, Dunstable, Biggleswade, Leighton Buzzard, Sandy, Ampthill, Kempston, Houghton Regis, Henlow, Shefford, Flitwick or any other area in Bedfordshire, we can make all the arrangements and ensure your relocation goes smoothly. Bedfordshire has a population of more than 600,000, and the central area in particular is one of the fastest-growing regions of the country. The county's population is expected to grow by 70,000 by 2031. The area has good rail and road links with London, making some towns popular with commuters to the capital. However, many of those moving to Bedfordshire find employment more locally. Large numbers also move to the area for educational reasons..
Commuting to London - As property in London has soared in price recently, many people have sold up and moved out, with Bedfordshire towns being among popular choices for relocation. Trains from Leighton Buzzard to London take just over half an hour at peak time, while from Luton the journey time is under 30 minutes on some trains. Thameslink services from Luton and Bedford are especially popular with commuters, because they take them into the heart of the city. 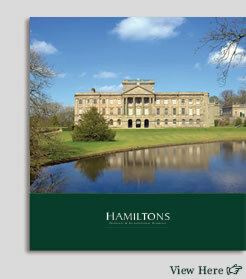 Property in the county is still very affordable compared to London, although prices have been rising fast due to demand. Employment - Good transport links have attracted a number of large companies to set up bases in the county. Bedfordshire has a varied economy, with leading employers including Easyjet and other firms based around London Luton Airport, Lockheed Martin, Amazon and the universities, as well as many small and medium companies. Many people also travel just over the border into Buckinghamshire to work in the nearby city of Milton Keynes. Education - One of the attractions for many people moving to Bedfordshire is the county's universities. The University of Bedfordshire, with main campuses in Luton and Bedford, has around 24,000 students and is expanding fast. The smaller Cranfield University specialises in sciences, technology and management, and has around 4,500 postgraduate students. There are also a number of smaller and specialist colleges in the area. The historic county town of Bedfordshire is popular with London commuters, thanks to its good rail links to the capital. Bedford itself has around 80,000 residents, but is also part of a larger urban area, including the nearby town of Kempston and the parishes of Wootton, Bromham, Clapham, Biddenham, Oakley and Elstow, with more than 160,000 people living across the whole area. The new town of Wixams is also being built just a few miles outside Bedford. Inspired by the Garden City movement, it is intended to have 4,500 homes arranged in four "villages", as well as its own railway station. House prices in the area have risen recently because of demand, which isn't just from Londoners, since there are also employment opportunities locally. For instance, Unilever Research employs around 800 people at Colworth Science Park in Sharnbrook, on the outskirts of the town. Asda (Distribution) and the pharmaceutical logistics firm Movianto are other major employers in the area. Around 250,000 people live in this area of the county, which is largely made up of small towns and villages. One of the largest towns here is Leighton Buzzard, together with the adjoining Linslade. This community has a population of around 37,000 and is fast-growing, with major house-building planned in the area. This is an especially popular location for London commuters. Biggleswade is another of the larger settlements in the area, with a population of around 16,000, and Jordans Cereals is a major employer based here. The small market town of Ampthill is one of the places where property is most in demand, with people being attracted by the historic buildings and high quality of life. Nearby Flitwick has also seen major growth over recent years. Cranfield University and technology park are based near the village of the same name and offer varied employment opportunities. Meanwhile, the small town of Sandy, near the Cambridgeshire border, is best-known as the headquarters of the RSPB. By far the largest town in Bedfordshire, Luton has a population of more than 200,000, but, if it is taken together with neighbouring Dunstable and Houghton Regis, the figure for the whole area is around 260,000. Many thousands of people have moved to this area over recent years and the expansion is expected to continue, with major new housing developments being planned. London Luton Airport is very important to the town and the whole region, as one of the busiest airports in the country, with more than ten million passengers passing through each year. More than 8,000 people work for the airport either directly or indirectly, including many employed by Easyjet, and there are hopes of expansion which could create around 2,500 extra jobs. Vauxhall Motors is another major employer, keeping up the town's engineering tradition. The service sector and hi-tech industries also play an increasingly important role in the area's economy. If you are planning removals to Bedfordshire and need an expert firm to arrange your house move, get in touch with Hamiltons for details of our moving and packing service.